Ms. Callaway is a compulsive gardener. 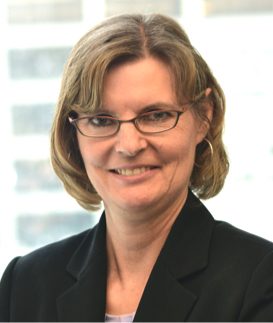 Ms. Callaway joined Jordan Knauff & Company in 2009 and leads the firm’s research and publications efforts. She has more than 20 years of investment banking experience with a broad knowledge of the mergers and acquisitions area. She also has significant experience in conducting transaction and industry-specific research in a variety of industries including building products, metals, flow control (pumps, valves, and filtration), and energy logistics & distribution industries. Ms. Callaway currently produces the firm’s quarterly flow control Industry In-Sight™ and Status of the Capital Markets: Cash Liquidity Industry In-Sight™ publications, as well as monthly articles for Pumps & Systems magazine. Prior to joining Jordan Knauff & Company, Ms. Callaway was an Associate in the Industrials Group at Macquarie Capital (USA) Inc. where she was responsible for developing industry-specific research and publications that focused on transactions, economic metrics, and industry trends. She began her investment banking career with Ernst & Young Corporate Finance LLC and later worked with Giuliani Capital Advisors LLC where she provided marketing support to the mergers and acquisitions practice.